What is Reading Wildly like in the summertime? Well, we're lucky if we can carve out half an hour when it's quiet enough in the Children's Room and we're all here. Usually, we go around the circle and each person is welcome to talk about as many books as they would like to share. In June, I asked everyone to keep it to one title until everyone had shared and we could go back around if we had time. We didn't have time. It picked up again in the department and I sent everyone back to work. I didn't get it together this month to hand out an article, which is probably just as well since we wouldn't have had time to discuss it. I did, however, read and think about Amy Koester's great post at The Show-Me Librarian, Thoughts on Reader's Advisory. Before we shared, I introduced the concept that even though we are all preparing ourselves as generalists, it's great that we have team members who gravitate towards certain genres and reading levels. I asked everyone to think about what kind of reader they are and to share that with us if they felt like they knew. If they felt like they weren't sure yet, I asked them to be thinking about it and we'll talk about it again next month. A is one of our team members who gravitates towards scary books and books about the supernatural. If I have a kid who's read every scary book I can think of, I'll tag A in and I know she'll have some suggestions. 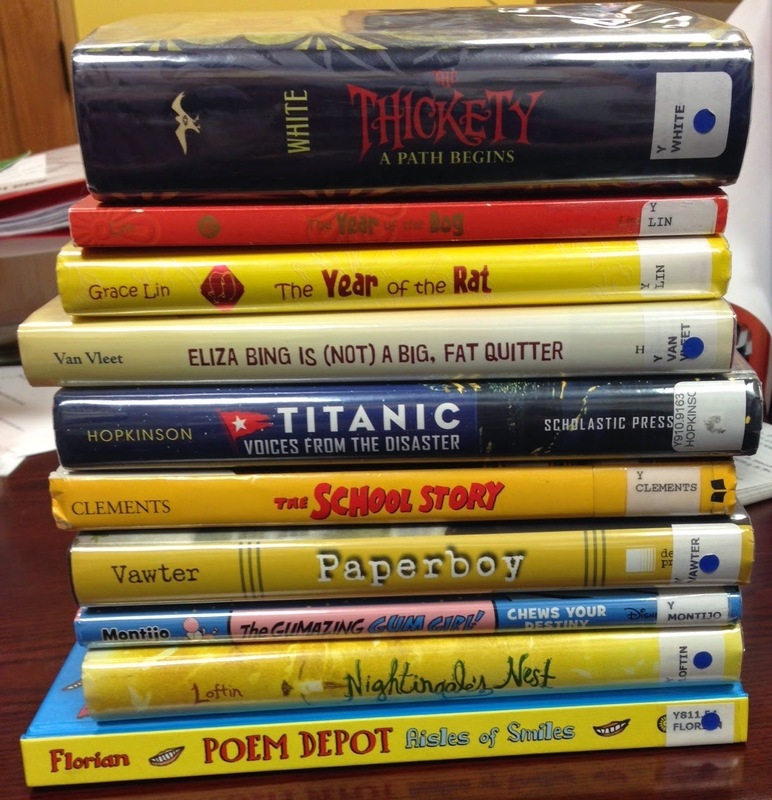 Myself, I have developed a great love for nonfiction and I tend towards tween-level books. I encouraged everyone to let me know if they ever need help coming up with nonfiction suggestions. We'll all be thinking about which genres or formats we each feel like we are experts in and I think that'll help us provide great reader's advisory as a team. Next month (July) will be Reader's Choice again. Again, I don't have an article and I'm not sure how much time we'll have to meet. That's how things go in the summer! Our staff Summer Reading "log" has been working great to show everyone how much we're reading. The meetings are nice to touch base with each other, but we all know we're all reading anyway!